1. What are your impressions of the match? 2. Which was the most memorable game/the game you liked the most during the match? 3. How long will Carlsen maintain the title? 4. Your wishes for Magnus and Vishy. The editor-in-chief of chess-news.ru, Evgeny Surov, was one of those who shared his thoughts. 1. In general, I wouldn't say I have a lot of impressions from the match. Before it started I was sure that the chess history wouldn't make fun of us and let Anand to maintain the title for two more years. You know, you can listen to those "Magnus has no match playing experience," "The old tiger is still alive," and things like that but there are things that can't happen, just because they can never happen. That's why I wasn't surprised by anything in this match. Well, maybe the result could have been less crushing but those are just details. Half of the ten games played were extremely boring. And I am absolutely fine with that: the problem is not in the players; their goal was to win the match and the way they would do it had no importance at all. So, if you, the spectator, are unhappy with the level of entertainment address your dissatisfaction to the officials. Talk about it, shout about it. In general the organisation was alright, except the organisation of the journalists' work. The conditions as in the press center, so in the playing hall were far from satisfactory. 2. All three wins by Magnus were memorable. I don't agree with those claiming that Games 5 and 6 were boring. And people saying Anand lost those games accidentally, due to silly blunders in "ordinary" positions are absolutely wrong. What people see sitting on the sofa with the laptop is fundamentally different from the practical play. Play with Magnus and let's see how many mistakes you will make, those that will seem "accidental" to you later. 3. I hope Carlsen will be champion until he will be the strongest player in the world. 4. What I wish Magnus is simple: just keep being as you are. While there is someone like Carlsen, disgraced will be those who think that in "absolutely equal", "boring", "useless" endgames you should stop playing. 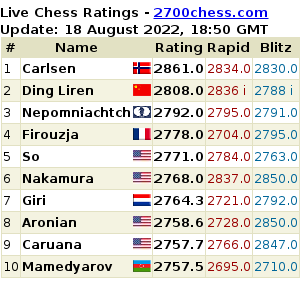 Carlsen is not negotiating with his rivals at the board at all, all his draws are achieved through pure chess methods. 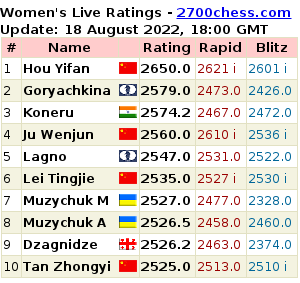 If you like, Carlsen is a salvation for us, the spectators. For those who don't want to watch the games in which the GMs compete in memorized analyses. For those who don't want to listen to GMs who tell what could have happened in their games if they didn't agree on a draw. What is more, part of the players, including top GMs, follow Carlsen's example despite their wish. And in general we see the tendency of the tournaments becoming more and more entertaining. I hope new generation will also follow that example, so the "Death of classical chess" will be slowed. I've spent a lot of time on thinking what to wish Anand. I really liked how he played Game 10 which became the last game of the match. Being 3 points behind the rival, he could do a quick draw, but he preferred to fight. He wanted to try to win! Believe me, if he had the very same mood from the first match game, the battle would have been completely different. In that game he suddenly got a better position as black, Magnus was a bit nervous. I think Vishy made the biggest mistake in the match when agreed on a draw that quickly.